Australia’s competition watchdog has put AirAsia X under the spotlight for failing to adequately deal with passengers affected by two cancelled services and secured commitments from budget carrier to promptly process all outstanding claims. Consumers affected by the end of AirAsia X’s Adelaide-Kuala Lumpur service in January, and its failure to launch new Melbourne-Bali flights on Boxing Day 2014 because it did not secure Civil Aviation Safety Authority approval in time, have slammed the carrier for its slow response and lack of customer service. In some cases, customers had to wait more than three months for refunds and claims for out-of-pocket expenses to be processed. “These actions by AirAsia X led to a significant number of consumer complaints to the ACCC and other state and territory consumer affairs agencies, particularly in Victoria and South Australia,” the Australian Competition and Consumer Commission (ACCC) said on Tuesday. The ACCC said passengers left high and dry by the end of the direct Kuala Lumpur-Adelaide flight were “required to either cancel their flights and rebook on other airlines, or make their own way to Perth or Melbourne in order to travel to Kuala Lumpur with AirAsia X”. Meanwhile, those who had purchased tickets for travel from Melbourne to Bali found out via text message on Christmas Day that the inaugural flight would not proceed and were given the option of being re-routed via Kuala Lumpur, adding hours to the journey and causing some to lose hotel bookings. The ACCC said it had worked closely with other Australian consumer law regulators such as Consumer Affairs Victoria and Consumer and Business Services South Australia to address the concerns that had been raised by those affected AirAsia X customers. “Consumers are entitled to compensation for any reasonably foreseeable loss due to the failure of a business to deliver a contracted service, and these claims should be dealt with promptly,” ACCC Chairman Rod Sims said in a statement. The ACCC said it would continue to monitor the situation on behalf of consumers. AirAsia X had processed all outstanding requests for alternative flights, credits and refunds, and committed to process any future requests within 14 days, the ACCC said. The airline had also committed to “expeditiously process valid claims for reasonable out of pocket expenses for affected passengers in a fair and reasonable manner”, the ACCC said, with customers also able to re-lodge previously made claims to AirAsia X for reassessment. “A report on the handling of claims for out of pocket expenses will be provided to the ACCC,” the competition regulator said. 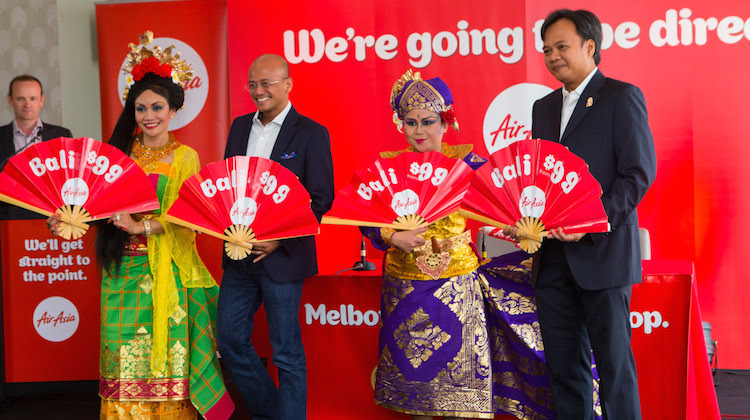 Consumer group Choice said in February it had written to the ACCC urging the regulator to fine AirAsia X for its “misleading conduct” in relation to the failure to launch the Melbourne-Bali service on Boxing Day. Choice said it believed AirAsia X “misled customers” because the alternative flights offered were not suitable for the purpose that many consumers initially bought them for. AirAsia X called on those affected passengers to “please endeavour to make all claims by June 30 2015”. “We sincerely apologise for the cancellation or re-route of the Adelaide – Kuala Lumpur and Melbourne – Denpasar flights and the disruption this has caused our valued guests,” the airline said on its website. It is good to see the poor practices of this airline being brought to the attention of the general public. However, it is inaccurate of to claim that they have processed all outstanding requests for a refund ter 4 months I have yet to receive my refund and continue to be subjected to delaying tactics and downright lies from Air Asia. I would be delighted to report that I have received my refund so that I never have to be involved with this carrier again. Thanks to the ACCC and other bodies fro keeping the spotlight on this appalling carrier.